Contact us to see what puppies are available. We are expecting the first of March 2019. Also a second around the end of March as well. 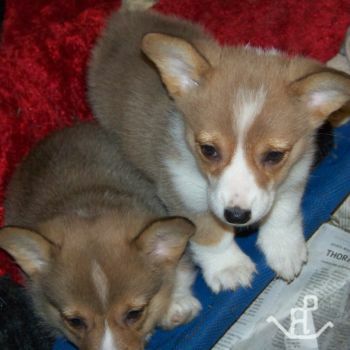 Our Pembroke Welsh Corgis are $1,800 each and are sold as they become available - when we have a litter of puppies. Please complete the Pembroke Welsh Corgi Purchase Application and submit it when you are interested in being placed on the puppy waiting list. We will be in touch with you when we have a litter born at the ranch.